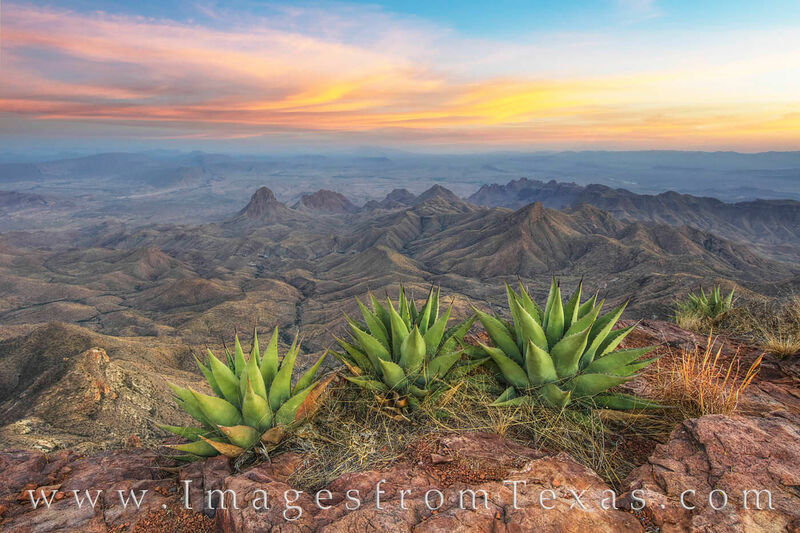 On a beautiful evening in Big Bend National Park, this was the view from the South Rim. The round trip distance to this point was nearly 14 miles, and the isolation and and magnificence of the surrounding landscape was inescapable. With agave in the foreground, the last light of day colors the sky overhead. In the distance, the mountains of Mexico can be seen.